The Maxime Old Star Mirror, giltwood, was created in 1942 for a flat formerly decorated by EJ. Ruhlmann. Maxime produced a few copies, all of a same size. The design was planned with different sizes and colors. To day our proposal is to study for you the variation most convenient to your projects. Our goal is to exalt your interior with this masterpiece in order to offer you its exceptional and unique pleasure. 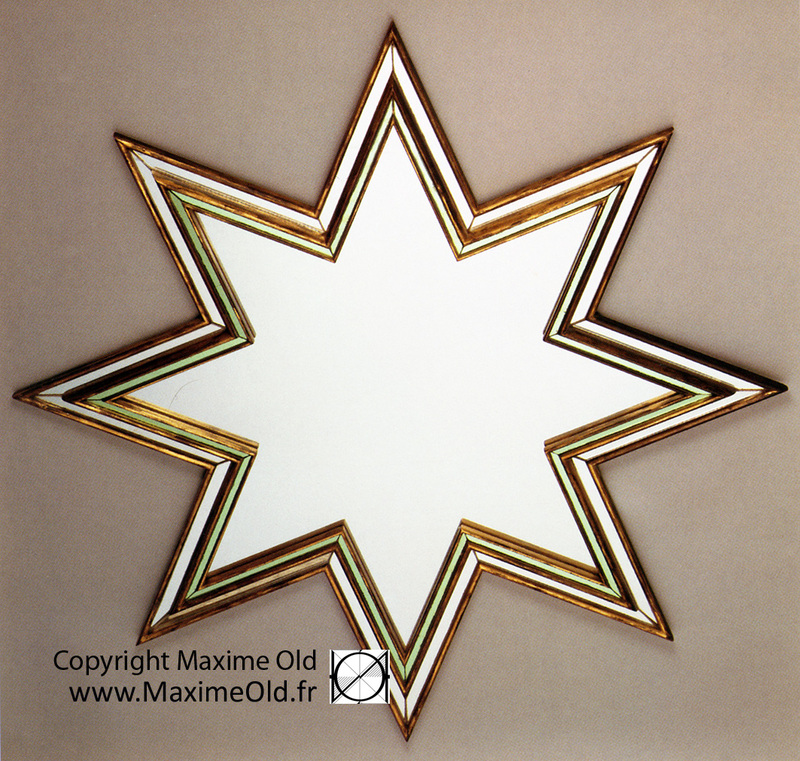 The Star Mirror goes along with the “Paquebot France Collection” (TM). Dimensions (DxT) : 115 x 4 cm. Materials : Giltwood (gold or copper) and two colors mirror.